Why are piranha fish so dangerous? In South American rivers swims one of the world’s most dangerous fish—the piranha. This savage fish is only ten or so inches long, but its teeth are so sharp and its jaws are so strong, it can chop a piece of flesh from an animal or a human as neatly as a razor. 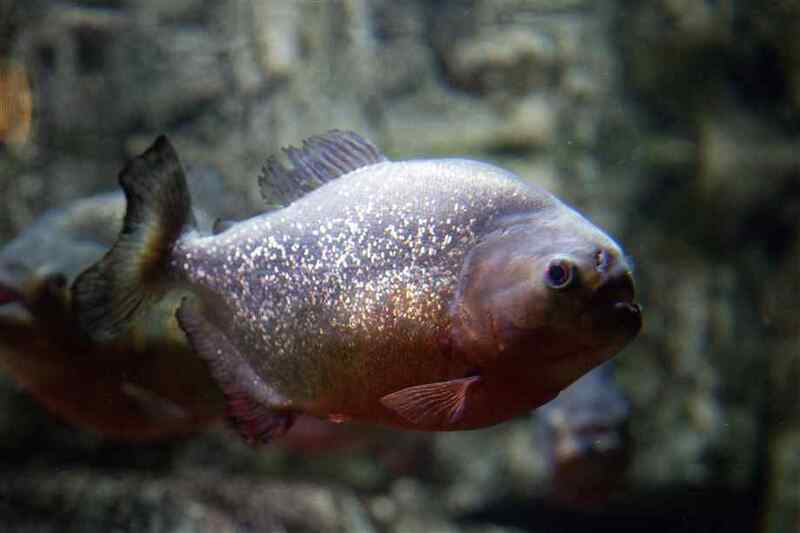 Piranhas often travel in schools of several hundred. How does an octopus eat? 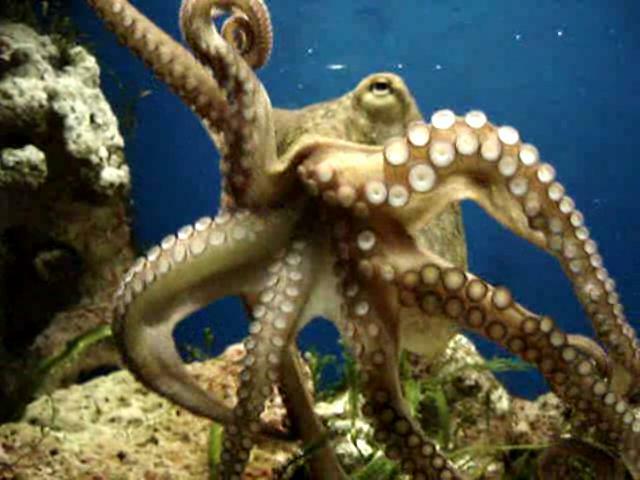 The octopus has a powerful parrot-like beak in its mouth that it uses to crack the hard shells or crass and oysters. The octopus dwells on the ocean bottom where it crawls about on its arms, searching in every crack and crevice for its favorite food of shrimp, crab, and mussels. On each of the eight arms there are two rows of cup-like suckers which help the octopus grab and hold very tightly to anything it catches. The arms do not squeeze and prey, but pull it toward the creature’s mouth. An octopus has two very strong jaws that look like the beak of parrot. It uses its jaws to crush crab shells and to tear apart the food it eats. The long, snakelike arms and large, unwinking, strangely human eyes give it a frightening look. Most kinds of octopus are only about as big as a man’s fist, and do not attack people. 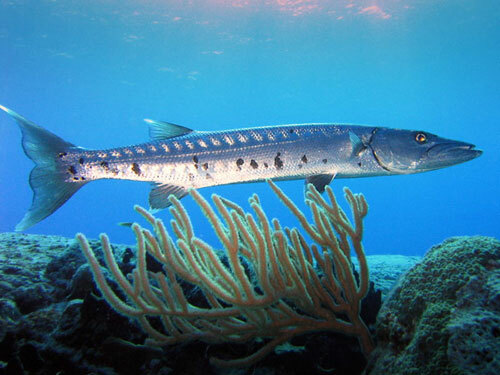 One of the fiercest of fishes is the barracuda. These slim, alert fishes with jutting jaws and razorlike teeth can be found living in the warmer parts of the Atlantic and Pacific Ocean. There are several kinds of barracudas. The largest of them is the great barracuda. This bit fish may grow to be a 6 feet long. It has strong jaws and a mouthful of razor-sharp teeth that may be nearly an inch long. It is sometimes called the “tiger of the sea”. It fears nothing, and will attack anything that moves in the water, including man. Sharks are often blamed for wounds really made this fearsome fish. In fact, many people think barracudas are more to be feared than most sharks.